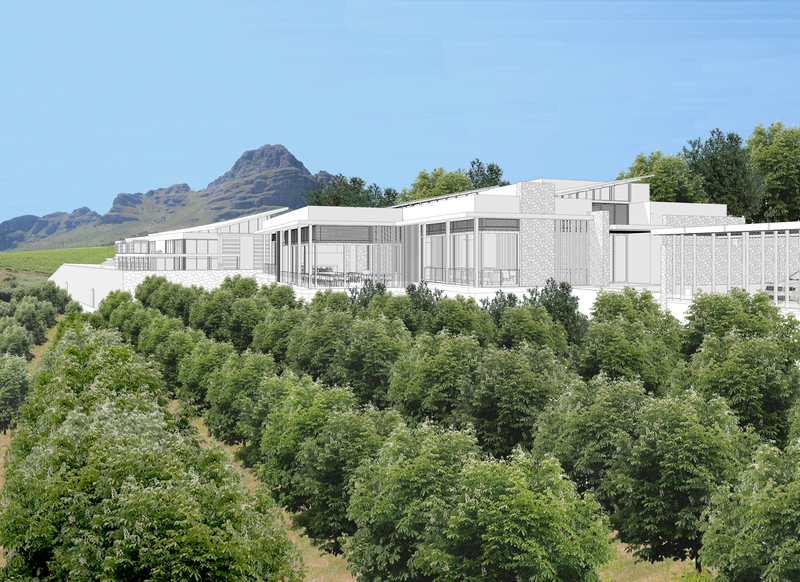 Sitting high on the slopes of the Helderberg Mountains and with views to Table Mountain beyond, the site of the existing winery is well established with vineyards, olive groves and a stream running through a lush valley. 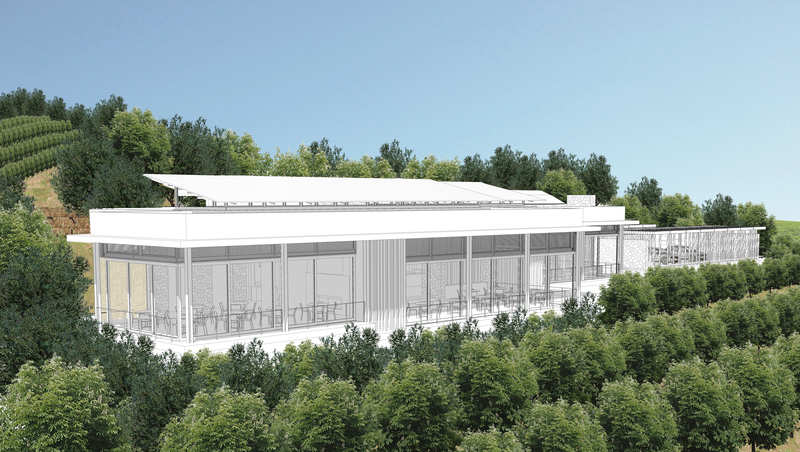 The existing site and architecture serves as a stepping stone to the language of the new venue, which creates a stand-alone destination, as well as a home for the existing, award-winning restaurant currently housed within the winery. The new building strikes a balance between respect for the existing and a personality of its own-the siting and layout are carefully done to work within existing constraints, yet provide framed views and experiences unique to it. 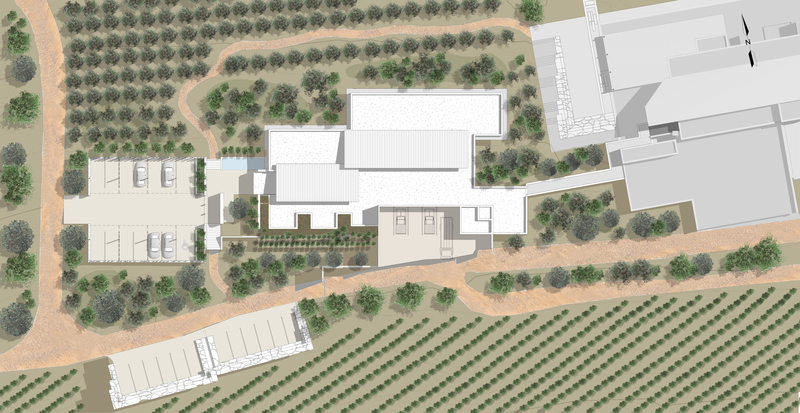 The language of the architecture references the rugged stone base of the original building with strong, clean modern planes of a refined version of the same stone, as well as a reference to the original building with galleries topped with soaring, tilting roofs.